A new tax for the over-40s in England should be introduced to help pay for elderly care for all, MPs say. Retired people should also be made to pay it if they have lucrative pensions or investments, two influential House of Commons’ committees said. The contribution – dubbed a social care premium by MPs – could then be used to ensure everyone who needs support in their old age gets it. It comes as ministers are considering how to reform social care. Currently only the poorest get help towards the cost of care, whether it is provided in people’s homes or in a care home. Other people have to pay for it themselves, with one in 10 facing lifetime costs of more than £100,000. However, increasingly people are relying on family and friends or go without care, which includes everything from help with washing and dressing to support in taking medications. The MPs on the Housing, Communities and Local Government and Health and Social Care committees said changes were long overdue. A combination of the ageing population and a squeeze on council budgets has left the system at breaking point. The cross-party groups believe only a radical solution can tackle the problem. Their report said employers should also contribute to the social care premium and argues it could be topped up by an extra levy on inheritance tax on the wealthiest estates. 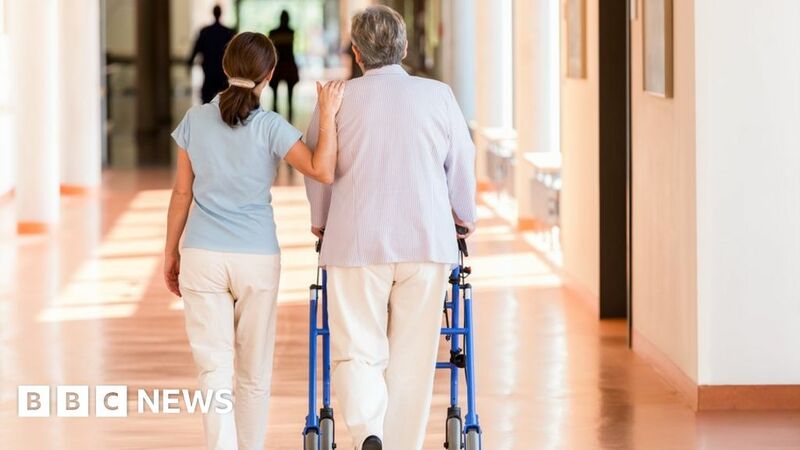 The MPs believe it could lead to everyone getting care paid for – although those in care homes would still have to contribute towards their accommodation costs. The committees do not say how much should be levied, acknowledging there would need to be a full review on how much money the system needs. But they said a degree of “intergenerational fairness” was needed, given the under-40s as a whole were more likely to be struggling with housing, employment and the cost of living than older generations. They also suggested the money raised could be used to support the care system for younger adults with disabilities, which forms part of the wider social care system. Currently the care provided by councils costs £20bn a year – less than a fifth of the NHS budget. Sarah Wollaston, chair of the Health and Social Care Committee, said: “We can no longer delay finding a fair and sustainable settlement for social care. The government has said it will be publishing a green paper on social care soon – this is expected in the autumn. A funding rise has recently been agreed for the NHS, which will see its budget increase by £20bn a year by 2023. Ministers have said tax rises will be required to fund this, but the MPs said the levy they are proposing could also contribute towards that. Caroline Abrahams, of Age UK, gave the proposals her backing, saying a “bold new vision” was needed.